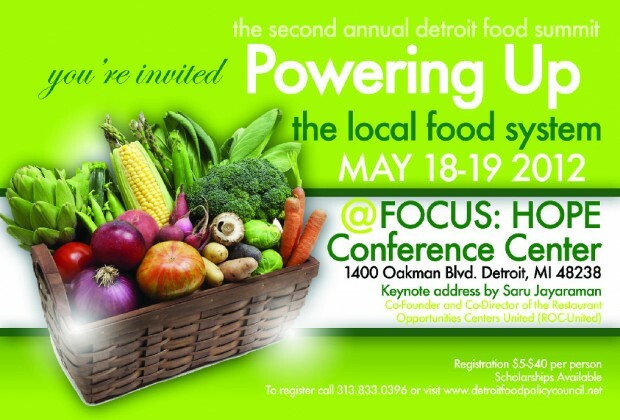 DETROIT—It’s just the second annual Detroit Food Policy Council Summit “Powering Up the Local Food System,” but the group – and its issues – are getting national attention. Specifically from Saru Jayaraman, co-founder and co-director of the Restaurant Opportunity Center United, a New York-based national organization that advocates for restaurant workers’ working conditions and wages, and safe food service. As keynote speaker at the summit’s opening session Friday, Jayaraman noted Detroit’s urban agriculture movement, policies linking liquor licenses to also selling “healthy” food in some stores, and the opening of COLORS Detroit, the second ROC restaurant in the country that serves mainly local food, considers food workers partners in the business operation and trains them for future food industry work. The two-day conference is held at Focus: HOPE’s headquarters, 1600 Oakman Blvd. Detroit, and information is online at www.detroitfoodpolicycouncil.net. Tackling issues involving distribution, food equity, food justice as social justice and the economics of the food industry, the summit drew attendees from Detroit’s agricultural, governmental, non-profit and public health sectors as well as community groups, schools and other advocates. 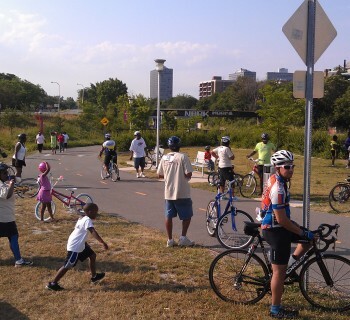 “We can build a food system in Detroit that is equitable, accessible and benefits everyone in the city. It’s a pretty wide, broad complex thing but each of us can do things in our own home, our own community and our own neighborhoods, and together we will impact the system,” said Cheryl Simon, coordinator at Detroit Food Policy Council. Saturday’s schedule is just as compelling. The morning-only sessions include an overview of Detroit’s need for and effort to create an urban land use policy and a discussion about the federal Farm Bill, which has funding provisions for specialty crops, crop subsidies and other provisions that Detroiters could find have an impact on their local food operations. Other speakers will offer tips for creating farmer’s markets and farm stands in the city, a workshop on community organizing related to urban agriculture advocacy, and a session on food safety and sanitation issues in Detroit’s grocery stores. Attendees can register on site. There is no set fee but participants are encouraged to pay a nominal fee. Breakfast and lunch are available. Want to catch the rest of the summit? Click here to register online.